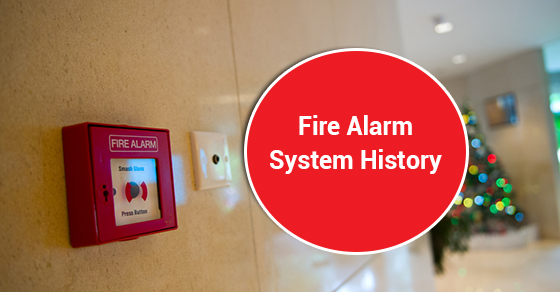 History Of Fire Alarm Systems | Calgary Alarm Inc.
Each year, there are an abundance of house fires in Canada that end up taking the lives of many people, many in homes that do not have proper fire prevention systems in place. Needless to say, the fire alarm system is a lifesaver, and its history deserves a mention. The first “fire alarm” system wasn’t a fire alarm system at all, at least not like the ones we have today. Back in the mid 1600s, fire alarm systems consisted of bells and whistles! That’s right. A team of firefighters would walk around the streets at scheduled times looking for fire. If they caught sight of one, they would ring their bells and whistles as a call for help from the community. As you can see, this was not the most effective method and was more than a little dangerous. Word on the street is that this very early form of the fire alarm system was first used in New York. In the 1840s, the telegraph was invented, which ended up leading to great advancements in fire safety. In 1852, in Boston, Massachusetts, Dr. William F. Channing and Moses G. Farmer invented the most recent version of the fire alarm system. This is how it worked: alarm boxes would be placed around the city. If a resident spotted a fire, he or she would turn the handle, releasing the key in order to notify the operators at the station. The telegraphers would then pass on this information to the fire department. By the late 1800s, the fire alarm system advanced yet again, this time with the invention of the electric fire alarm system. Technology made it possible for the thermostat to detect heat and release water to put out the fire. The most recent advancement in the fire alarm system is the addressable head. The idea behind the addressable head is that the control panel is able to tell you which device was activated so that you can quickly get to the fire in order to put it out. It is absolutely necessary to have fire protection systems in place. Investing in 24-hour monitoring services offers additional fire protection. Consider Calgary Alarm for your choice of state-of-the-art yet affordable fire alarm systems and smoke detectors. We are one of the leading security and monitoring companies in the industry. Contact us today for more information.